With Mick Jagger and Martin Scorsese at the helm of HBO’s “Vinyl,” you know two things are going to be right: the music and the vibe, and it’s Stewart Lerman, the show’s main music producer, who masters that mix. Lerman and music supervisor Randall Poster first worked with Martin Scorsese on “The Aviator,” the Howard Hughes biopic, HBO’s “Boardwalk Empire,” the Prohibition Era gangster epic, and now “Vinyl,” which is set in 1973 New York. All attach a premium to nailing the intricate details of people, eras and geographies. 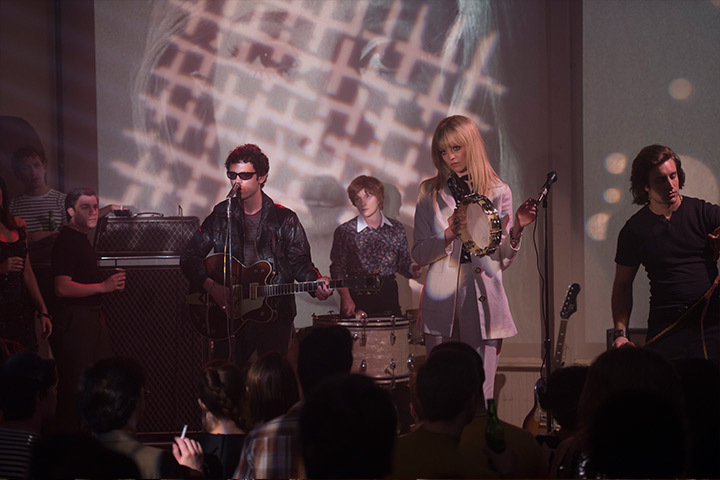 With the season finale just days away, Lerman spoke with Reverb about the challenges of finding period-correct equipment, recording new music for the show with vintage gear and maintaining that early '70s rock 'n' roll vibe. 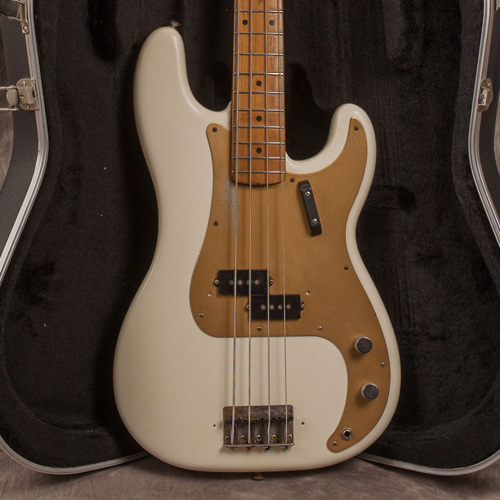 How do you do research and acquire the gear that you're using for the show? Most of it looks like it’s period correct. It's a two-fold process. Some of it, you can see a document of what somebody played; there's a video or a picture. Once we find out what it is, then we go out and find some collectors and get it. And that takes a bit of poking around until you find someone who actually wants to let go of it. For some of it, we've gotten the original stuff. Occasionally there's the really oddball thing — we're really trying to be as specific as we can — and sometimes you can't get it, you know? What's the thing that you were most shocked to find, or not find? The one that I was shocked that I couldn't find was the Bob Marley guitar. We tried to get exactly what he played in that era, which was a custom job. 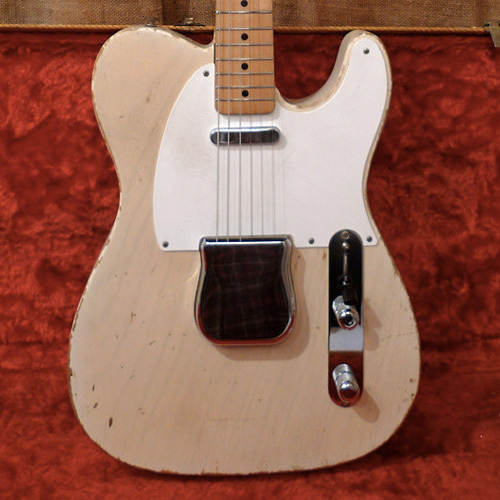 We had the guitar, but we didn't have the finish, or we had the finish but the wrong pickup configuration. But almost everyone else, we almost nailed it. For Jimmy Page, he’s playing a Blacktop Les Paul. That one, we had to find. 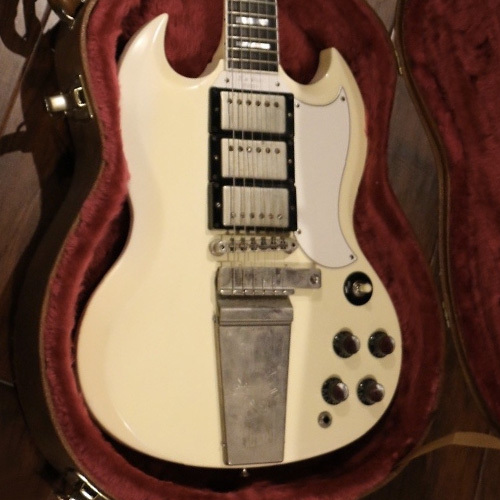 We really wanted that to have the right Bigsby and pickup configuration, even though the way they edited it you don't really see the front of his guitar much. 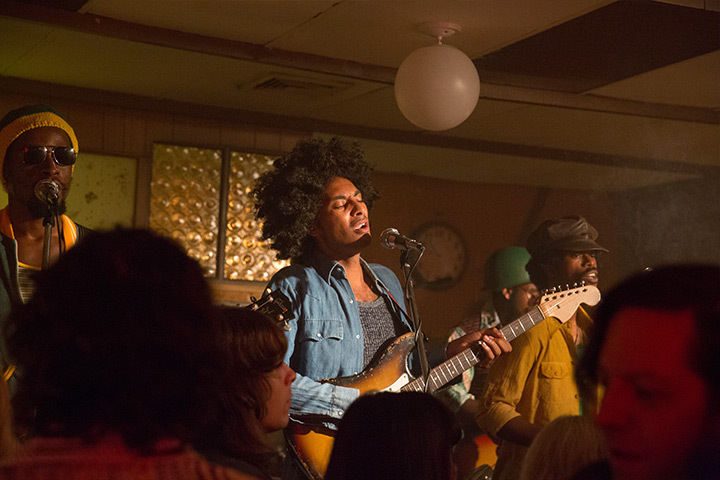 Bob Marley played a Stratocaster in the show, but that brown Les Paul with the metal pickguard is the one that I typically associate with him. That's what we were looking for, but he had modified it. I think he might have even sanded it down himself. 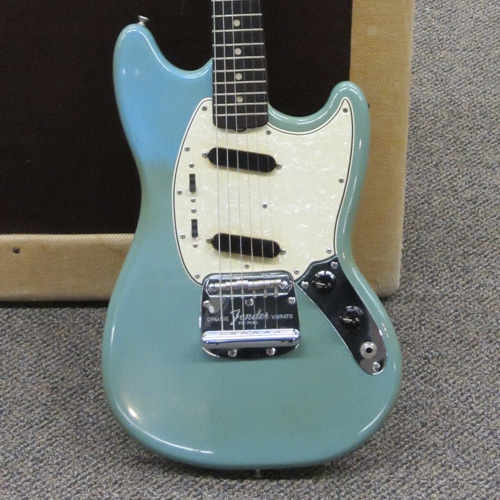 Instead of getting a wrong version, we went, “OK, he also played a Strat,” and we got the right vintage Strat; the right color and the right neck. In fact, there are pictures of him at Max's Kansas City with the Strat. It might not look as familiar, but that was exactly period correct. The pictures of him playing in Max's Kansas City show that he used a Strat. In the first episode, the New York Dolls had a Rickenbacker bass and a Flying V and they were using Orange Amps. Those are not instruments that I would have associated with the New York Dolls. No, but that is exactly right. They didn't stay with the same instruments. We did a period — at the Mercer Art Center, right before they got a deal — when you see them. And we found pictures of them in England using that exact setup. And David Johansen came in and sang for us, so we had sort of a firsthand understanding there. Everything that was on there came from some document. And we went after it and got the right stuff for it. Yeah, they captured him nicely. In all the Lou Reed and Velvets stuff, that's Julian Casablancas [of The Strokes] singing. He’s the voice of Lou. Are you sourcing instruments around New York? Or do you have to go farther and wider? The props department goes all around the country and we do the same thing for everything on stage: the drums, the PA, the microphones — that was the hard stuff. 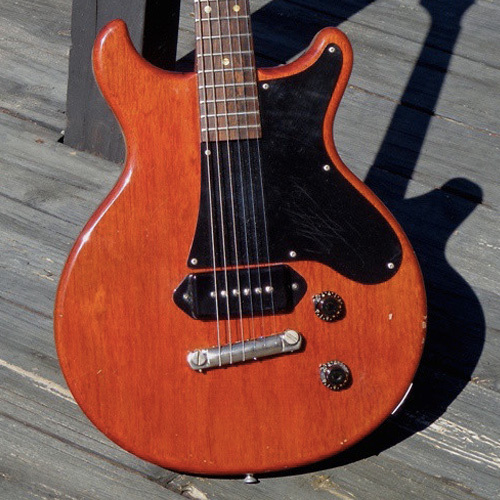 Old guitars are coveted. They were made fantastic in the years that this took place and prior. Guitars and amps have not been much improved upon. The old stuff is what everyone still wants to play, right? Not all the other technological stuff has lived as well. For live microphones, PAs and some drums, the modern stuff won out in terms of the quality. 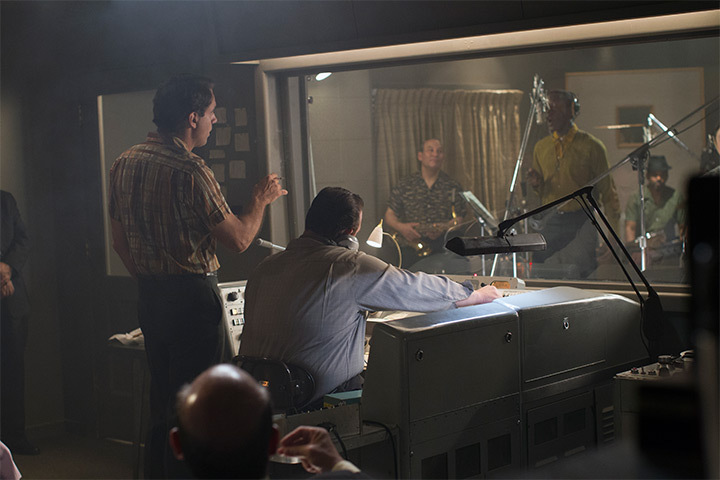 There was a scene where Lester is in the studio and Richie's having him sing a song called “Cha-Cha Twist.” So that's vaguely 1959. That took us quite a while to compile what was in the studio. The control room, we built that from scratch. It was hard finding the console with the rotary knobs; the talkback microphone; all the different Ampex tape machines. We had to find all these, and the flanges for the tape, the tape boxes, microphones, mic stands, pop filters. All that stuff from 1959 is not that well documented. As I mentioned before, most of that recording studio stuff is now obsolete, so that was hard to find. We went all over the country. So you work with the props department, but you’re also recording new music for the show. Yeah. On all these different bits of music, I'm using different bands. And for different stuff, we use different players. There are two main core bands with different players — Johnny Gale, Catherine Popper and Lee Ranaldo, Don Fleming. For the musicians, New York is an awesome place. It's rare that we have to call someone from out of town, other than the featured artists themselves. One thing I do want to clarify a little bit is that the stuff that's on stage is not always what I used in the studio. 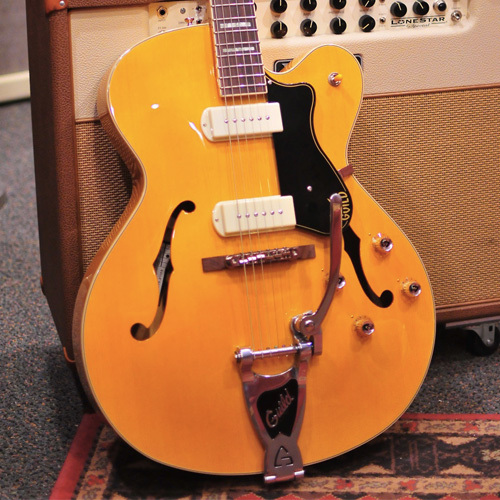 We went to real extremes to try to get the right amps and the right guitars, but in the studio it didn't quite matter to us if it was a Goldtop or a Blacktop Les Paul. But we try to get as close to it as possible sonically. And we're very specific about amps as well. When you’re recording, how much of the vintage gear are you using, and is it for quality or nostalgia? In the studio, when we're recording this stuff, even though we're trying to get as close as possible, the nostalgia part becomes, at a certain point, irrelevant. 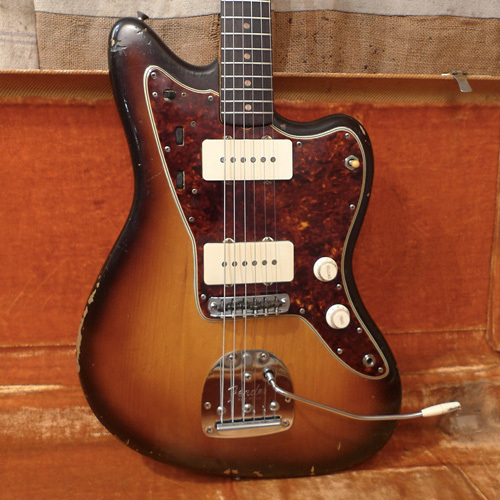 If we have the right guitar, but it's set up improperly, then we don't use it. But we have close-enough things around. 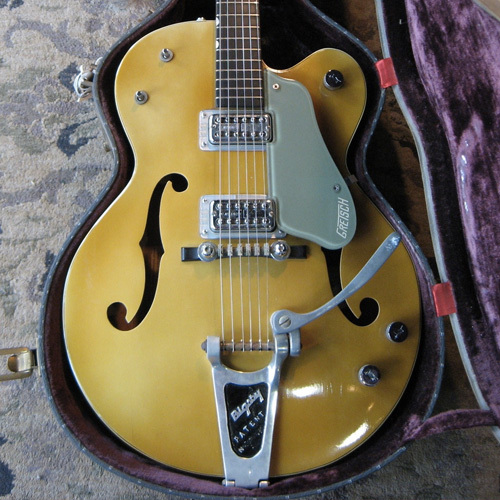 If it's a hollow-body Gretsch, we'll have a couple of different ones. One of my main players on this whole series — a beautiful, amazing musician; he's our main guitar player — is a guy named Johnny Gale. He's a stickler about these things, down to his strings. Depending on the job, depending on the era, depending on the kind of solo, he swaps strings. He has strings on his Guild X175, maybe 58s on the bottom and 14 up top, and they're flatwound. He has various combinations and gauges that he'll take off and put on depending on what the song calls for, which is so cool. It's starting at the source. And he's super conscious of it. He'll pick the guitar and go through his collection and pick the right strings for it. It really is more important than most people think, I believe. It sounds like you guys are making a heroic effort to get it right in terms of the period correctness. The whole thing was a complete thrill. We're redoing the Raspberries; we're redoing Led Zeppelin, and then we're making our own stuff up. The Nasty Bits and the R&B dude, Hannibal, is all new material. That’s fun stuff, new tunes and new recording, but it all has to sound and appear like it could’ve happened in 1973. Down to every last detail. 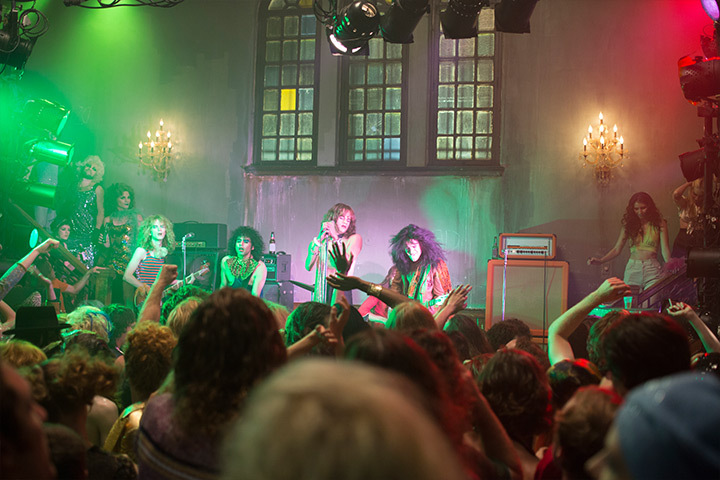 The Season 1 Finale of HBO’s “Vinyl” is Sunday, April 17. Check local listings for details. One of the pleasures of the gig, Lerman says, is collaborating to record music for the show. That involves creating elaborate cover versions of “real” songs by real bands; creating new songs for fictional bands; and that “Vinyl” specific hybrid: a cover of a “real” song for a fictional band to perform. The fictional band The Nasty Bits, for example, perform songs originally recorded by ‘70s punk band Jack Ruby. “Lee Ranaldo [formerly of Sonic Youth] suggested Jack Ruby as a template for a hard-driving band of that era — that nobody knew — so it would seem like The Nasty Bits were an original band. Lee and Randy mined their catalog for these songs.” Other performers involved in the many covers used in the show include The Arcs, Julian Casablancas, Neko Case, Charli XCX, Iggy Pop and Andrew W.K., to name but a few. The high point, Lerman says, was working with Charlie Wilson of the Gap Band, Gabe Roth and several of the Dap-Kings to write and record for Hannibal, the fictional funk master on the show.